There’s even more opportunity to find your perfect home with Homes by Esh, as we welcome our brand new development Lancaster Park, Middleton St George! 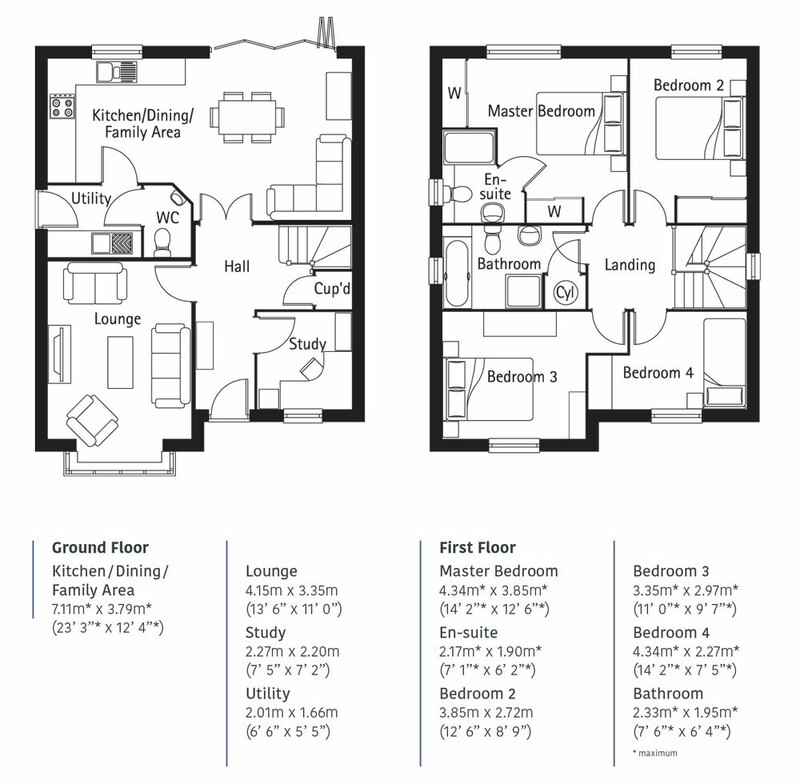 With prices starting at just £189,995, Lancaster Park offers something for every buyer. The development will feature a range of three and four bedroomed homes, finished to the highest specification construction. There will be a total of ten different house types at Lancaster Park. Each property is built with more in mind to deliver a development that appeals to the modern homebuyer. Lancaster Park is a place for anyone looking to benefit from the many advantages of owning a new-build home in this popular location, with Darlington just a stone’s throw away. “Lancaster Park has been designed to raise the bar for new build housing with traditional stone exteriors and light grey windows creating a distinctive look and feel to the overall development. The house types have been designed with family-focused features in mind, including open plan living spaces with kitchen and dining areas opening up via modern bi folding doors into the rear garden. Every property at Lancaster Park will benefit from our unyielding commitment to sustainable housing design. With a variety of energy saving features designed to reduce energy and water consumption as well as lower waste, each new home offers countless advantages to the homebuyer as well as to the wider environment. From detached family homes to three-storey townhouses, Lancaster Park is a development designed to showcase the high-quality features we include in every property. Featuring a HIVE smart thermostat as well as aspirational brands such as Porcelanosa and Hans Grohe, our new properties will represent the very best in modern residential development. Colin continues: “We aim to make Homes by Esh properties a cut above when it comes to internal style and layout. We make high specification properties as standard and it’s our objective to construct a home built with more in mind at every level. Looking for your dream home in 2019? Discover Lancaster Park for yourself by clicking here, or get in touch with us today using our online Live Chat service.